With the rapid changes in computer technology, popular discourses reflect an anxiety about the future and the role of humans in the world. Cyberpunk—a mode of science fiction highlighting information technologies and degrees of social disorder—in some ways captures these anxieties. The societies imagined by cyberpunk suggest worlds falling apart and humanity doomed by the fallout from the triumvirate of hubristic science, criminal political self-interest, and ruthless corporate greed. These worlds are ruled by transnational conglomerates, nations are dissolved, and public welfare institutions have evaporated, leaving individuals responsible for their own well-being. In tandem, technology allows humans to reshape body and mind according to these needs: cybernetic augmentation, genetic manipulation, nanotechnology, viral reprogramming and other self-improvement technologies are available to whomever has the money. In Deus Ex, ethical thinking is as powerful a weapon as a handgun, and ethical responsibility the most adequate gameplay strategy … Furthermore, the goals and winning conditions were ethically questioned almost from the beginning, forcing players to think morally about the missions and their meaning. Are players really „doing the right thing“ when they fulfill missions or is someone manipulating them? Central themes of paranoia and political control are explored and linked to the idea of transhumanism. Narratively, the franchise constructs a maze of political, economic, and social futures – based in the pro and contra of transhumanism – that players must navigate. Each game then sets up a final decision and leaves the ending in the hands of the player. As Sicart points out, the Deus Ex storyline is ultimately an „open ethical design“ in that the player’s choice determines the outcome of the conflict. Regarding the final decision for Deus Ex: Invisible War, media scholar McKenzie Wark argues that the player is faced with four options positioned along two axis: the „question of the boundaries of the body and its other“ represented by the choice between body augmentation or biological purity, and the question of power distribution over access to machines, favoring either „democratic relation, in which all bodies communicate equally“ or „hierarchical, where all communication passes via a controlling power.“ Similarly, the decision in Deus Ex is to allow the destruction of existing power through technology or to pass this power on to either a secret cabal or an artificial intelligence. The most nuanced position on transhumanism emerges in the final decision of Deus Ex: Human Revolution in which players transmit information to manipulate four endings. Each ending represents a political stance on transhumanism: the player can either demonize transhuman modification, glorify it, put it under strict control, or leave it to public decision. In its insistence on individual decision, Deus Ex rejects any notion of neutrality regarding the politics of transhumanism and associated futures. Whereas in film or literature the position of the author is a guidepost for viewers/readers to orient themselves, the game mechanics of ethical choice introduced by Deus Ex, force player decisions. Since neither option is optimal – each comes with trade-offs, unforeseen consequences, and prices to pay – players must involve themselves in the political conflict, addressing transhumanism, political sovereignty, and capitalist endeavors in order to find their individual position. Sicart, Miguel. The Ethics of Computer Games. Cambridge: MIT Press, 2009. Spector, Warren. „Postmortem: Ion Storm’s Deus Ex.“ Gamasutra. 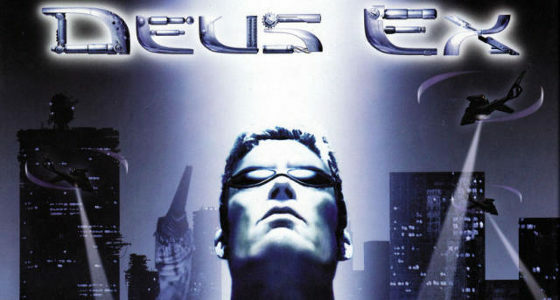 Last modified December 6, 2000. http://www.gamasutra.com/view/feature/131523/ postmortem_ion_storms_deus_ex.php. Wark, McKenzie. Gamer Theory 2.0. Accessed January 10, 2016. http://www.futureofthebook.org/gamertheory2.0/index.html. Warren Spector, „Postmortem: Ion Storm’s Deus Ex„, Gamasutra, last modified December 6, 2000, p. 2, http://www.gamasutra.com/view/feature/131523/postmortem_ion_storms_deus_ex.php. Spector, „Postmortem: Ion Storm’s Deus Ex„, p. 1. Miguel Sicart, The Ethics of Computer Games (Cambridge: MIT Press, 2009), p. 2. Sicart, The Ethics of Computer Games,p. 214. McKenzie Wark, Gamer Theory 2.0, accessed January 10, 2016, p. 178, http://www.futureofthebook.org/gamertheory2.0/index.html. “Deus Ex.” 100 Greatest Video Game Franchises. Ed. Robert Mejia, Jamie Banks and Aubrie Adams. Lanham: Rowman, 2017. 38-39.